Over the past couple of years, Nollywood has been changing. I used to hate watching Nigerian films because of the poor acting, bad directing and awful video effects. And don’t get me started on the storylines! You could predict the plot of an entire movie just from the first scene. Everything has started changing now. There are still bad movies out there but the quality of movies being released have vastly improved and the industry is changing. No more movies being shot in one day and predictable storylines; we now have movies with plots that thrill and acting that can move you to tears. 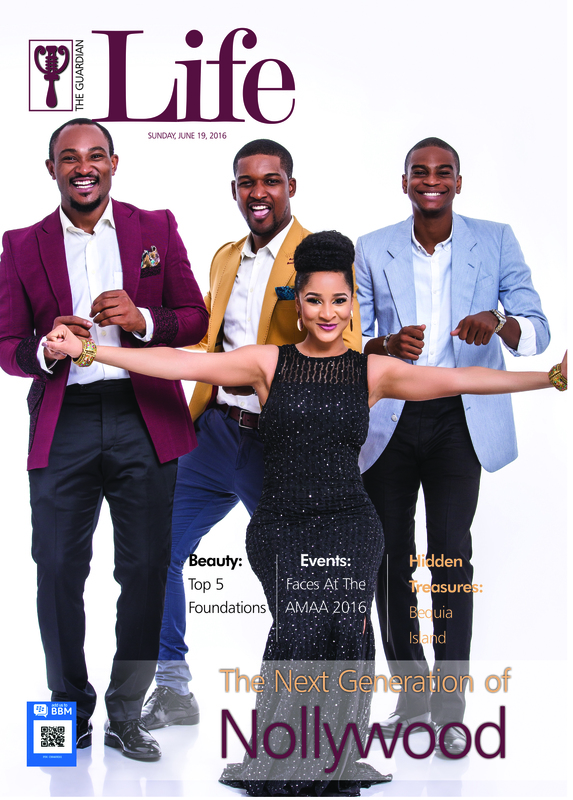 On our cover this week, we talk to four young actors who are part of the next generation of Nollywood. They all found their way into the industry in different ways, from growing up in front of the camera, to being in the industry by luck and for some, destiny wouldn’t have it any other way. They are slowly becoming the mouthpiece for the new generation. As we embrace our cover subjects and the industry that they represent, they share their stories of inspiration, hopes and modus operandi of being on the job. Olumide Oworu started off as a child star, staring in several TV shows such as Everyday People, The Patriot, The Men In Her Life, Hammer, Stolen Waters, New Son, etc. Over the years, the media has watched him grow in front of the camera and loved every minute of it. He is one of the few who have made the leap from child actor to a man in his own right. Before I started acting, I was already exposed to the media as a kid. I was doing radio voice overs, and I was modeling as well. I assume I went into acting because I was very animated in conversation; having watched a whole lot of TV growing up. My mum suggested I go audition for Everyday People, so I did. I got the role, and everything else just kind of happened from there. I fell in love with acting, and now it’s hard to imagine myself doing anything else. What enables you switch from one character to the other in the different roles you play? Understanding the character, most importantly, and then the character’s significance to the story. That allows me to give the character certain traits, or work on a look that will best suit the character. I just visually try to become the character as much as possible. What’s your favorite thing about playing all these roles? It’s really just the fact that I get to play so many people. It’s my excuse to be whoever I want to be and get away with it because I’m acting. The thrill for me is just knowing that I’m being someone else, and the entire process of giving a character life. Where do you see Nigerian movies in about 10 to 15 years? I see Nigerian movies being bigger and the scope of our stories being wider. I see our movies addressing a lot more issues in the society. I believe film will be one of the tools through which we can kick start the change everybody is hoping for in Nigeria. The fair lady of Nollywood came to the scene fully prepared, with a primary education in theatre. Her early life is pregnant with tales of what would now form the foundation of her career. Adesua always knew she would be in the limelight as a performing artist and actress and with time, she has fully settled into the life as one of the leading ladies in Nollywood of today. I started acting because I believe it’s what I’m supposed to do for the rest of my life – it’s a calling. The fear of not fulfilling my destiny scares me more than anything else, really. I believe that this is more than just a job; this is destiny, and I’m supposed to touch lives doing this. The fear that I might die without touching the lives I’m supposed to or effecting some kind of change is a huge thing for me. So, once I realized that this is what I’m supposed to do, and once I got the courage to do it, it was a great relief. There’s something beautiful about acting – telling different stories. If we’re being honest, every human being has different characteristics, likes, and things that make them different. A lot of preparation is essential in playing different characters, no matter how similar a role may seem in script. The characters will always be different because you’re not playing the same person over and again. The need to be believable and give each character life, mannerisms and a voice is what enables me play every character differently, because I don’t believe every character should be the same. My favorite thing will have to be the fact that I’m different people at different points in time. I think it’s awesome. I also get to tell different stories throughout my life. Where do you see Nigerian films in 10 to 15 years? Blossom has been on our big screen for a long time (since 2009 actually). Blossom has definitely created a niche for himself as an actor that delivers consistently on every production that he features in. Diverse as can be, Blossom is one of Nollywood’s best in recent times. Honestly, acting just chose me. For me, it was never really a childhood dream, and it wasn’t in my teenage plans either. 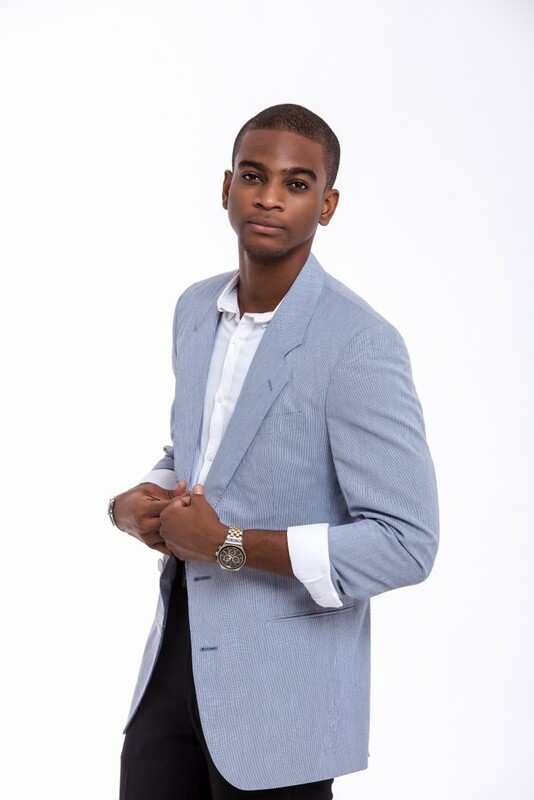 It just happened that when I took my brother to a modeling competition some years ago, the organizers saw me and decided I have the qualities of an actor. That was really how my career started. Well, research. You need the right information for every single character you play. I read the script, do a character breakdown, and then build him from the ground up. Basically, it’s all the information I get from my research, and being able to make the right choices to suit the character the scriptwriter has written. Most importantly, I pray. Then I talk to my manager about it, and we both come up with the right direction to go in. It’s really just amazing to be able to live different lifestyles in one. It’s an amazing privilege that comes with a lot of responsibility. For me, it’s a blessing to be able to play a pauper, a bus conductor, an area boy, a tout, and such. It’s a gift to have all these emotional journeys and be able to understand how these people feel. Where do you see Nigerian movies in 10 to 15 years? 10 to 15 years is too far. Let’s say ‘in the next two years’. Because the truth of the matter is the industry is growing fast. Right now, it’s not what it used to be. Presently, we have a lot of major international collaborations and we haven’t even begun to scratch the surface. There are thousands of stories we still haven’t told. So the industry is really just warming up to blow the world. The entire world right now is looking at Nollywood because the grass is green. Very soon, Nigerian movies will be opening in theatres worldwide, and people will be hustling for our directors and producers. I advise anyone who hasn’t invested in Nollywood yet to come and let’s break bread. 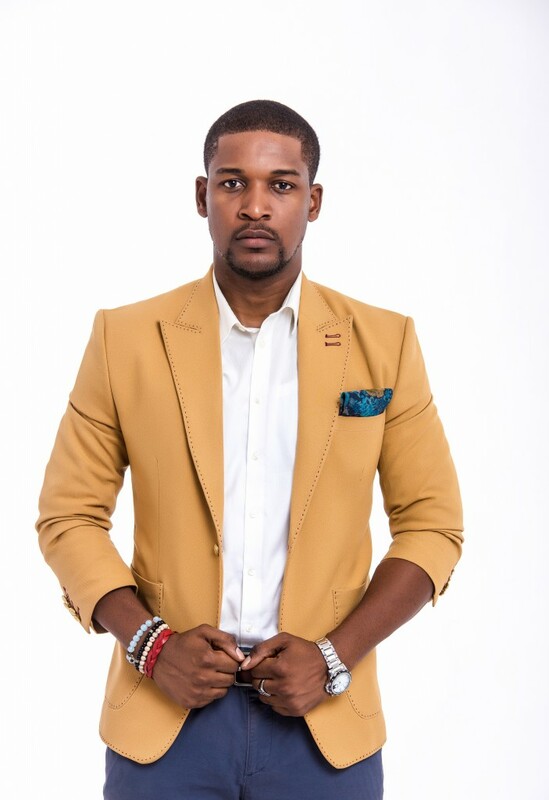 Wole Ojo is as daring as can be and this trait threw him into the world of acting. 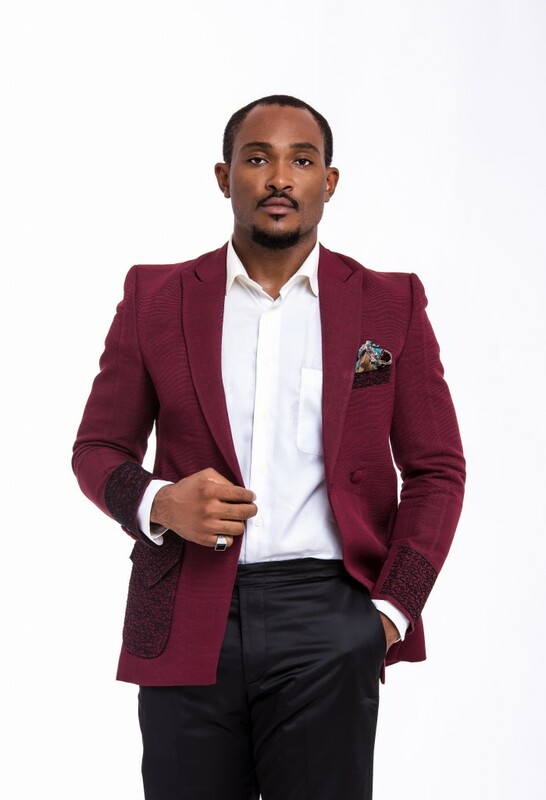 He started acting as a kid but took a break and came back with a statement in the hit film, Maami, and has continued to grace the screens with his skills. Quite a number of things, actually. I practically grew up in front of the TV, watching a lot of cartoons and sitcoms like Fresh Prince, Family Matters, and an endless list of others. It wasn’t long before I developed an interest in acting. As a kid I did a lot of plays in church, and there was a program running on NTA at the time – Kiddies Vision 101. I was a big fan of the show and would watch, critique, and talk about the show. One day, my mum challenged me to do what I was doing professionally and that was how it started. So, my inspiration came from TV and my mum pushing me to give acting a try. Quite a number of things. I read, do my research, and I draw from real life experiences, reported experiences, what I’ve witnessed people do round me, what I’ve seen on screen. I basically just pull in everything I can from my surroundings. I also do a self-input where I dissect a character and decide the traits I want that character to have. What’s your favorite thing about playing these roles? My favorite thing is it makes me come alive. It’s what I love doing; acting has always been something I’ve always wanted to do. Also, I believe it’s a gift to be able to pass a message to people, playing different characters, and show the audience what the different sides to a character are. It brings a certain satisfaction to what I’m doing, knowing that there are people receiving a message from what I’m doing. Firstly, Nollywood is growing. The growth may be slow, but it’s growing. We just need a lot more investors in it. I’m not one to say “we need the government for this and that” because I believe we are the government and we can do things for ourselves. However, we cannot take away the fact that the government has a strong role to play. Not necessarily by giving us money, because Nollywood can fund itself to a large extent. This, of course is dependent on if the main issue with Nollywood – piracy – is tackled. If piracy is tackled, producers will be able to make profits off their investments and more investors will be better inclined to invest in the industry. I’m sure there are business men out there who recognize the potential of Nollywood and would like to invest, but are cautious because of the piracy situation. So, we need the government to act fast on piracy. 15 years from now, I see Nollywood challenging the big shots; which we are already doing in our own way. I see Nollywood standing with the world’s greatest and competing strongly as regards quality.